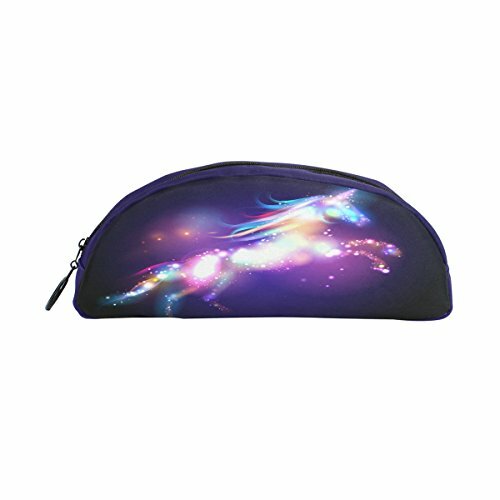 ALAZA brand pencil case is designed to store and organize your pencils, pens, gel pens, rules, crayons, markers, erasers, scissors, protractors, caculators, compasses and other stationaries. It is made of soft and comfortable cotton felt, which is wear-resistant, lightweight and compact for school, office, travel and other outdoor activities. Meeting your needs in the maximum extent. Perfect Gift: With its smart capacity and nice look, this pencil case is a best solution to keep you organized, also it is a perfect gift for Graduation, Birthday, Back to School and Christmas! If you have any questions about this product by ShineSnow, contact us by completing and submitting the form below. If you are looking for a specif part number, please include it with your message.